Use this guide on the best hotels in Dorset, from beach hotels to boutique properties, to plan your coastal or country escape. The pretty southern county of Dorset has plenty of allure – a stunning coastline peppered with prehistoric fossils, a smattering of fantastic seaside towns and a bucolic inland area with picture-perfect villages and a patchwork of green fields. Whether you’re after a beach hotel or something boutique, or a great place to stay for families, our Dorset hotels guide will do the trick. Dorset’s premier beach resort, Bournemouth, has countless beach hotels and old Victorian properties with rooms. 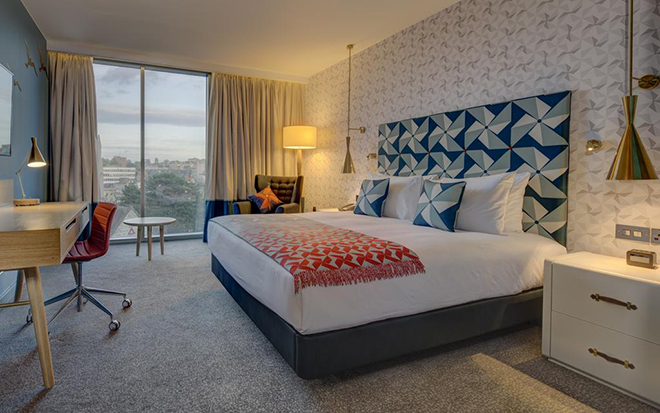 But none are as stylish as the Hilton, just a five minute walk from the wide sandy beach. Rooms have geometric patterns and Bournemouth-related art, as well as very cool Ted Baker accessories (which are available to purchase in the lobby), the on-site restaurant Schpoons and Forx is truly excellent and there’s a glam cocktail bar on the top floor with views out to sea. Plus, the spa has great treatments, a pool and a serene relaxation room. 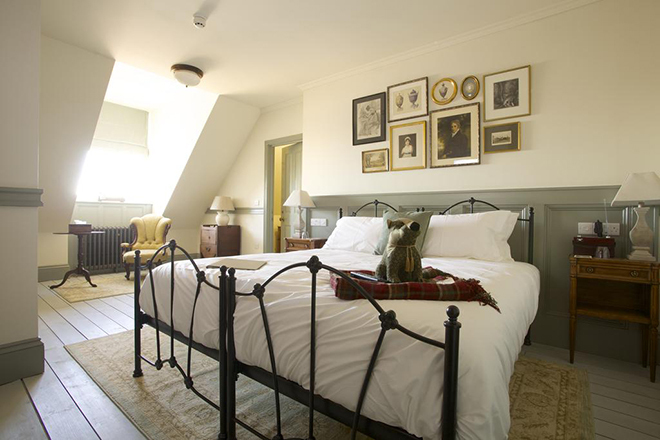 Part of a Fuller’s-owned pub, The Bull in Bridport is a quirkly little boutique hotel in one of Dorset’s popular market towns. Off-beat feature wallpaper, clawfoot baths and glamorous beds characterise the rooms, all of which have modern ensuite bathrooms. Book in here and you’ll get free breakfast, plus 10% off in the restaurant. Their bed, breakfast and dinner deals tend to be excellent value too. There’s free parking onsite. This stunning country house Dorset hotel is ideally situated right on Studland Bay – one of the coastline’s finest. The pretty bedrooms are light and airy, retaining a cosy feel, and the fantastic onsite restaurant is the master work of Chef James Golding and Head Chef Andy Wright. Shepherd’s huts in the garden act as therapy rooms, where you can have massages and facials. Near the spectacular horseshoe bay that is Lulworth Cove, Bindon Bottom is a fantastic little bolthole. Its boutique-style rooms have reclaimed furniture and lovely fabrics, all with great views out to the classic Dorset countryside. 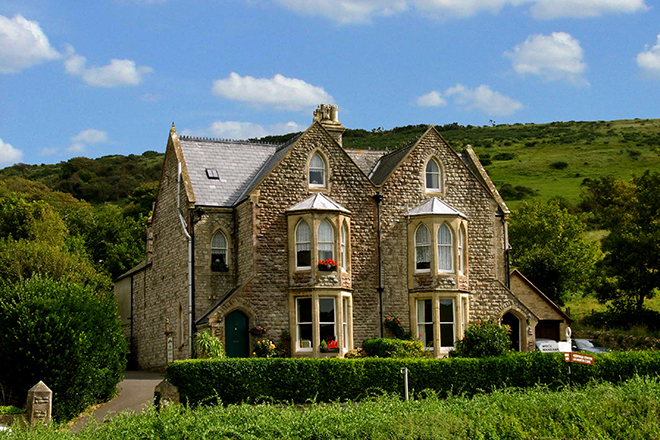 The B&B won accolades in 2019 when Tripadvisor members voted it the third best B&B in the world. There’s no wonder, as the home-cooked breakfasts have been described as “the best on mother earth”. Chewton Glen is truly special. There are a host of rooms on offer here, from garden rooms to luxury suites, but their most exciting offering is the treehouses. Set high up in the firect canopy, a number of suites on stilts make luxurious, private hideaways. There’s sublime afternoon tea in the restaurant, where you’ll find homegrown veg and herbs in dinners and breakfasts, and a stunning spa with a large pool, fitness suite and treatments. Part of the Red Carnation group of hotels, Summer Lodge is a glorious country retreat. Grand rooms with plenty of frills and florals make delightful bedtime escapes, while the manicured grounds, with wide lawns and a great spa are there for daytime relaxation. The restaurant serves traditional English dishes with a modern European twist, and wines are expertly paired by the in-house sommelier. 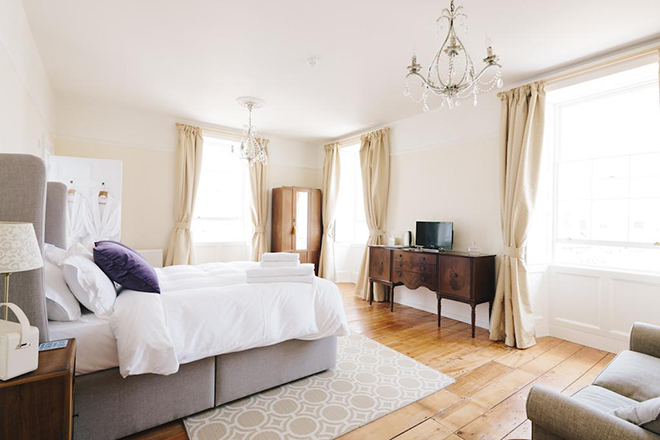 This lovely boutique Dorset hotel has a contemporary vibe on an historic coastline, set back from the beach in the town of Lyme Regis. It’s pared-down luxury here, with luffy white robes and neutral colours throughout the rooms, and a great breakfast spread in the morning. The owners are eco-conscious and have renovated the property with sustainability in mind, and they use mostly local suppliers to support the local economy. This place is a delightful little seaside escape. Fit for royalty indeed, The Duchess of Cornwall Inn is one of Dorset’s best hotels. Int he historic market town of Dorchester, it offers 20 Georgian-style rooms inspired by the likes of Jane Austen and Charles Hall, and a fantastic pub downstairs. The varied menu in the restaurant has country classics like duck breast or steak and ale pie, as well as Mediterranean dishes for lighter bites. 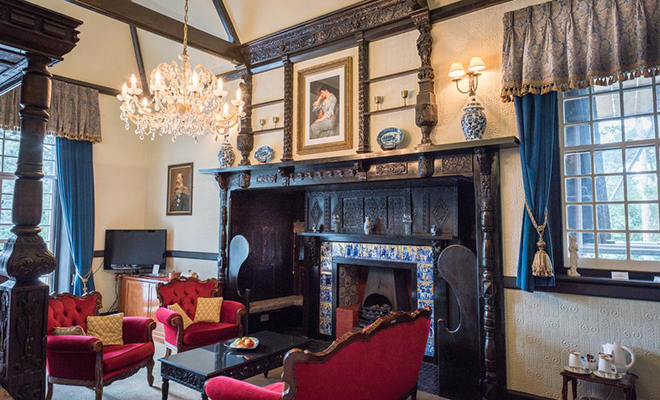 A charming little hotel, built by Edward VII for his mistress, Lille Langtry, this manor is now an excellent option if you’re planning a seaside break in Bournemouth. Close to the train station and just 10 minutes’ walk to Boscombe beach, it has retained its regal feel thanks to its Georgian-style furniture and wooden beams. There’s a fabulous afternoon tea – ideal to have in the garden in summer – and breakfast is a real feast.